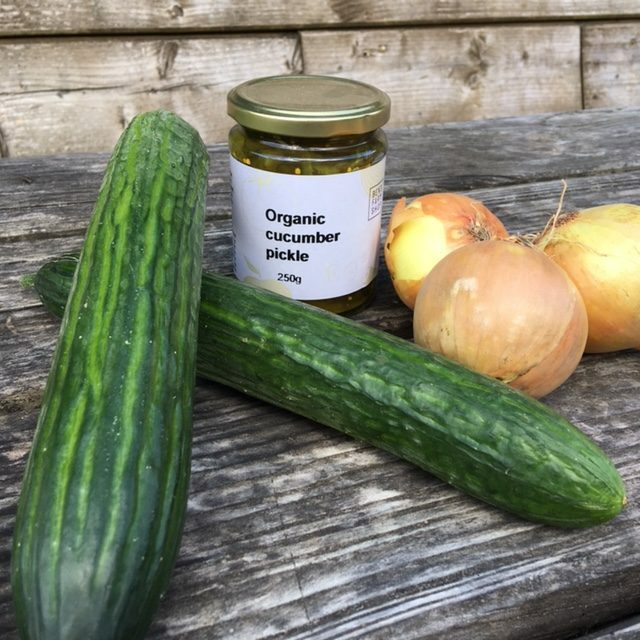 This pickle adds a welcome tang to cold meats or burgers, and is a great way to make your cucumbers last into winter! You'll need to do the prep 24 hours before the cooking. 1Wash the cucumbers and peel the onions. 2Thinly slice the cucumbers and onions. Layer in a tray with the salt and leave for 24 hours. 3Drain and rinse the cucumbers and onions. 4Place the sugar, cider vinegar, turmeric, cloves and mustard seeds into a pan and bring to the boil. 5Add the cucumber/onion mix to the liquid and boil for 1 minute. Drain, retaining the liquid and pot into warmed jars. 6Bring the liquid back to the boil and add to the jars.